Whether it’s someone you like at work or someone you’ve met at a party recently, you always want to have a repertoire of good questions to ask to keep the conversation flowing. Having some good questions to ask is a definite must if you want to get to know someone better and take things down a more serious road (to possibly dating and getting into a relationship!). So, I’ve concocted a list of 111 questions that should ignite some great discussions and revealing conversations with the person you’re interested in. Have fun, relax, and of course don’t be judgmental. Being judgmental will make him not want to open up to you, which is not something you want if you are thinking of getting into a relationship with him! What you should do is always be attentive and have a good time finding out something new about that “guy” in your life! 1. What’s your favorite type of animal? 2. If you had to eat one cuisine for the rest of your life what would it be? 3. How many times have you gotten away with something? 4. Have you ever had any major regrets? 5. What’s the craziest thing that has ever happened to you in a relationship? 6. What is the worst thing that has ever happened to you on a date? 7. Is there anything that will make you laugh no matter what? 8. What’s the most dangerous situation you’ve ever been in? 9. What’s the scariest thing you have ever attempted? 11. If you could date anyone who would that be? 12. Have you ever had a celebrity crush? 13. Have you ever been forced to do something you hated? 14. Have you ever had a physical confrontation? 15. What’s the most trouble you ever got into at school? 16. What’s the best memory you have from childhood? 17. What’s the worst memory you have? 18. What the best thing in your life right now? 20. Is there anything you’re especially grateful for? 21. What’s your favorite movie? 22. What’s your biggest phobia? 23. If you could meet any public figure alive who would it be? 24. If you could meet any historical figure from the past who would it be? 25. What’s the biggest lie you have ever told? 26. Do you have a secret you have never told anybody? 27. What country would you move to if you were forced to leave home? 28. Who is he closest person to you in your family? 29. Do you have any weird family members? 30. Have you ever had a close experience with death? 31. Are you afraid of death? 32. Do you believe in the afterlife? 33. How much money would you need to make to be happy? 34. If you won the lottery what would you do? 35. What were you like in high school? 36. Were you ever bullied? 37. Would you say your family is normal? 38. What’s your favorite type of candy? 39. What’s the dumbest thing you have ever done? 40. What’s your favorite flavor of soda? 41. Is the anything about yourself you would like to change? 42. What’s your favorite physical feature about a woman? 43. What was your first sexual experience like? 44. Is there anything about yourself that you like? 45. Do you have any hidden talents? 46. Do you play any instruments? 47. What’s your favorite comedy? 48. What’s your biggest passion in life? 49. What’s the cringiest thing you have ever done? 50. Would you rather be rich and ugly or poor and beautiful? 51. What’s your greatest physical accomplishment? 52. Did you ever play sports? 53. What would be your dream job? 54. What would be your nightmare job? 55. Have you ever had to struggle with something emotionally difficult? 56. What’s one thing you think people say about you? 57. If you had one day to live what would you do? 58. Were you ever a religious person? 59. how many siblings did you have? 60. Did you ever have any crazy friends that have gotten into trouble? 61. What’s the best vacation you have ever been on? 62. What’s your happiest memory? 63. What’s your saddest memory? 64. Were your parents strict or liberal? 65. What are some must have qualities for a girl you’d be interested in having a relationship with? 66. If you could be the ruler of the world what would be the first thing you’d do? 67. If you could stop on horrible thing that is happening in the world right now what would that be? 68. What’s one superpower you wish you had? 69. If you were invisible for a day what would you do? 70. Would you rather be known in life and forgotten, or unknown in life and remembered forever in death? 71. What’s one trait you look for in a best friend? 72. Is there anything you want to accomplish before you die? 73. If you had to spend a million dollars in a day what would you spend it on? 74. If you could only have one drink for the rest of your life what would it be? 75. What’s your favorite weekend activity? 76. Do you believe in astrological signs? 77. Do you have any guilty pleasures? 78. If you could be born again and completely repeat your life, would you? 79. What’s your biggest pet peeve? 80. Have you ever yelled at someone? 81. What’s the meanest thing you have ever done? 82. What’s your closest experience with death? 83. Have you ever known someone that has been seriously ill? 84. Have you ever broken down in public? 85. When was the last time you cried? 86. Do you think you will be a good parent? 87. What was the biggest obstacle you have ever overcome? 88. Is there anything in your life you can’t get over? 89. What’s one thing you’d die without? 90. Could you go a month without technology? 91. What’s the most you have ever eaten? 92. What was the best gift you have ever received? 93. Do you like going out or staying in? 94. What the worst thing some one has done to you? 95. Do you have a favorite song? 96. Who’s your favorite musician? 98. Do you know what it feels like to have your heart broken? 99. How would you describe the feeling of being in love? 100. What’s the biggest turn off in the world to you? 101. Have you ever done anything ridiculous to get a girl’s attention? 102. How many times have you lied when calling in sick? 103. Who do you think ayou are the most alike? 104. What’s your idea of success? 105. Where do you think you’ll be in ten years? 106. What would the title of your autobiography be? 107. What’s the most annoying word in the world to you? 108. What your worst nightmare? 109. Has anyone ever had a major impact on your life? 110. What’s the lasting impression you want to leave on the world? 111. Do you like to read? 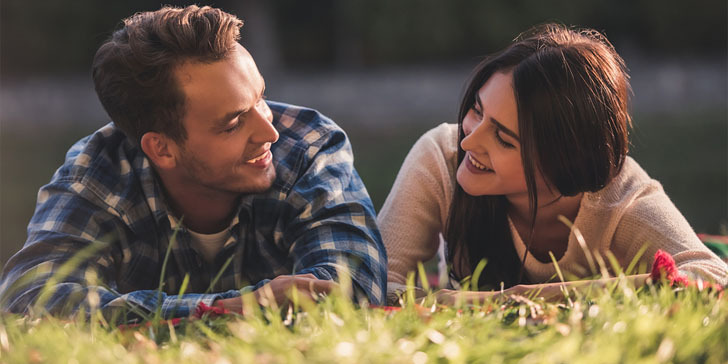 There you go—these questions will help you in any situation with a guy so that you never have to worry about awkward silences. Don’t put too much pressure on yourself, let the conversation flow naturally and most importantly have fun! the questions are amazing and very helpful. i will ask my potential boyfriend these questions. i will share this article to my friends too. i love these questions! they can truly help reveal my boyfriend’s true self. with these 111 questions to choose from, i am sure i will find plenty of good questions i could ask my crush to get our conversation going! same here! my boyfriend liked the questions and some brought a smile to his face. i love making him happy and i didn’t think that questions like these can actually do that! hey! my boyfriend liked all the questions here! he was asking for more haha! he definitely enjoyed our Q & A session. can you please post more? i asked my guy some of these questions and i am satisfied with his answers.. my only concern is he doesn’t ask me questions at all..not even about my life.. are we doomed? just want to know..i am confused. sometimes, a relationship can be boring along the way. a great way to deal with this situation is to ask good and interesting questions like these. very interesting questions! if you want to know your partner better, these are the questions to ask. i bet you will uncover many secrets! hmmm..questions are good but these are not my type of questions. just saying. i always ask my guy “how was your day?”. for me, it really sounded obligatory. i am looking for something unique and this article provided what i needed. thanks! it is always good to ask your guy good questions to be sure that you are on the same page i’ve been looking for questions like these and i am so glad i found exactly what i am looking for! well, an awkward silence is painful so it is good to have questions like these. this list is really cool and interesting! i am dating this very nice guy and i really enjoyed our endless conversations about work, family, and friends. it will be better if we mix things up and use some of these questions. men are most likely to respond to questions when women are open and straightforward. these are very good questions and can definitely start a nice conversation with your man. i think his happiest memory is really a good question to ask. it will bring back those memories that he always cherishes and will surely bring a smile to his face. i agree with you! these questions are a definite must! i already bookmarked this page! thanks! this list should do the trick if you are looking for good questions you can ask you guy to get to know him even better! i am looking for questions like these that i could ask my guy. i am gonna make this my ultimate list! wow! This is such an amazing list! Will absolutely ignite some great discussions and revealing conversations with my crush! i never judge my guy, ever! that is why he never hesitate to open up to me. we also love to talk about anything under the sun. we ask each other questions that help us know each other more. Do you know what it feels like to have your heart broken? – this question made my man remember his ex. i am not comfortable talking about her, honestly. but my man assured me that he has already moved on. good then. i am so happy i found good questions i could ask my crush. i want him to be interested in talking to me more and i am positive these questions could help. i can’t come up with good questions i could ask my boyfriend to know him better. glad i saw this post. it will really help me a lot! these are all great questions but i will only choose those that i think my guy would find interesting. there are some questions that actually bore him, honestly. i really want to let this guy know that i am falling in love with him but i don’t know where and how to start. maybe asking him some of these questions like “Have you ever been in love?” will give him an idea. this is just what i needed! good thing i browsed your website. these are indeed good questions i could ask my guy that will lead to an interesting conversation. “What’s your favorite weekend activity?” – this one is my favorite. i am an outdoor person so i would love to know if my guy is too. it will be good to know if we share the same passion. i met this cute guy at a party and he wanted to have a date with me! i am so excited so i googled for some good questions that i could ask him to avoid awkward silences and found this article. really helpful! i like to read so i think the first question i would ask the guy i am dating is if he likes to read too. in that way, i could see if we are compatible. wow! if these questions could really lead to dating and possible relationship then i must start asking my crush some of these! thanks for sharing!